Product prices and availability are accurate as of 2019-04-13 21:46:25 UTC and are subject to change. Any price and availability information displayed on http://www.amazon.com/ at the time of purchase will apply to the purchase of this product. Want to indulge your painting passion? 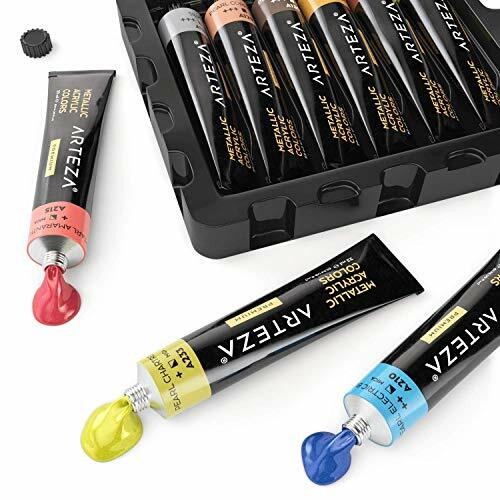 The Arteza Metallic Acrylic Paint Set gives you the freedom to unleash your inner artist any time the mood strikes. Featuring eye-catching shades like Pearl Canary Yellow, Pearl Pistachio Green and Bronze, this set gives you 36 vibrant color choices. We use only the finest materials to ensure smooth application and true color that won’t lose its vibrancy over time. 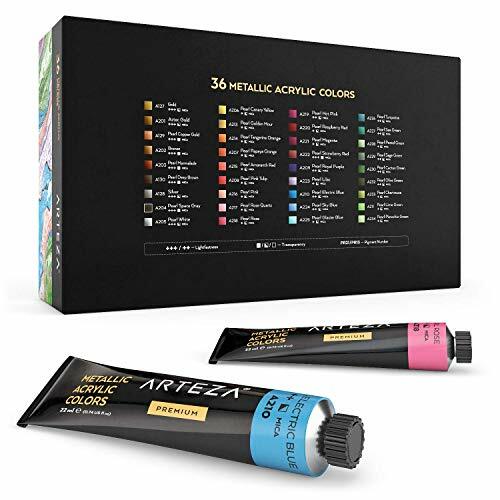 These colorful Metallic Acrylic Paints are great for canvases and other art surfaces. 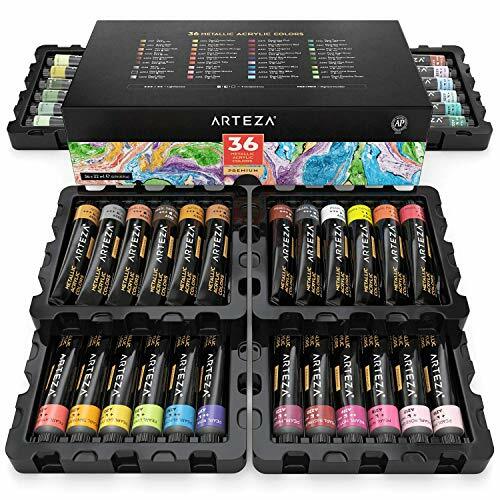 Each shade arrives in its own squeeze-able tube with a secure screw-on cap to keep your paint fresh and ready—plus a storage box to keep everything in one place. Need a cool gift idea for your favorite artist? 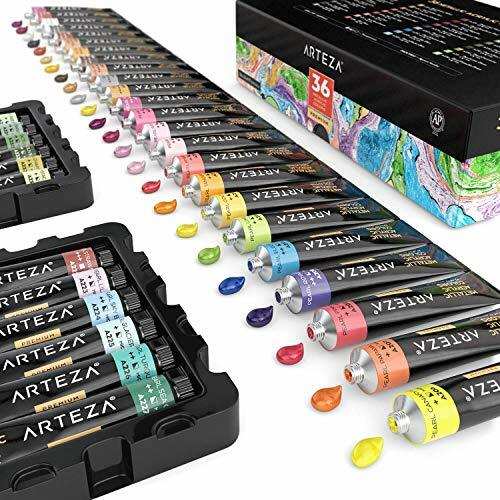 With this premium set from Arteza, you can surprise them with artist-quality Metallic Acrylic Paints at a surprisingly affordable price. 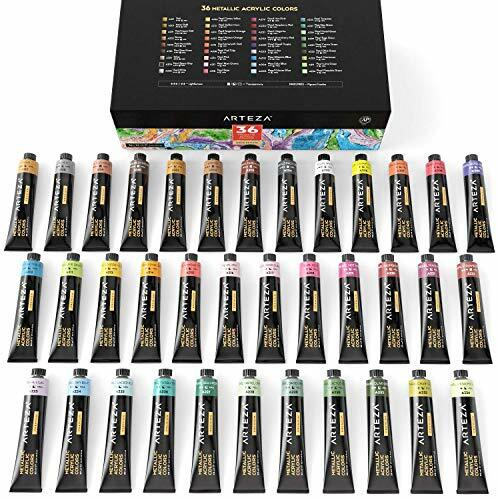 Exciting Selection of Vivid, Metallic Colors: Whether you're new to acrylic painting or a seasoned artist, colors like Aztec Gold, Pearl Glacier Blue, and Pearl Hot Pink will set fire to your imagination. Rich, Vivid Pigments: Your Premium Metallic Acrylic Paint Kit features smooth, highly pigmented colors that produce true, consistent shades. Ideal for canvas painting, these colors won't fade over time. Certified Safe & Non-Toxic: No need to worry about toxicity with our Metallic Acrylic Paints. They're ACMI-certified safe for your complete peace of mind. Great for creative adults, teens and kids. 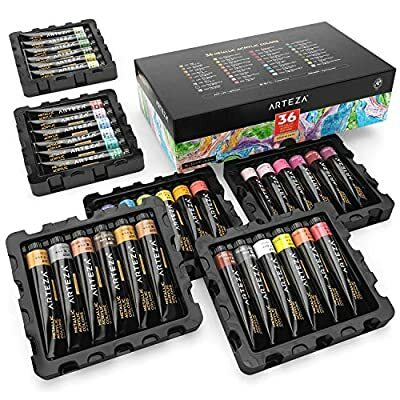 Packed in a Sturdy Box: Great for keeping your Metallic Acrylic Paints always organized and accessible. 100% Money-Back Guarantee: We want you to be thrilled with our Metallic Acrylic Paint supplies. If you're not satisfied, return them to us for a fast, no-hassle refund or product replacement.